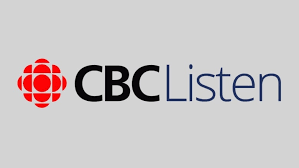 "Effective Parenting: Moving from Worry to Mastery" can be heard on the CBC Listen website. Dr. Tina Montreuil is an Assistant Professor in the department of Educational and Counselling Psychology at McGill University where she runs the Childhood Anxiety and Regulation of Emotions (C.A.R.E.) Laboratory. She is also an Associate Member in McGill's Department of Psychiatry and a Regular Investigator of the Research Unit of Children’s Psychosocial Maladjustment (GRIP). As a licensed member of the Quebec Order of Psychologists and a credentialed member of the Canadian Association of Cognitive-Behavioural Therapies, she practices privately with children and family, focusing on cognitive-behavioural and mindfulness approaches. Dr. Montreuil's research focuses on anxiety disorders as well as social-emotional development and learning.